You guys, I have an amazing deal to tell you about from my favorite store, Ann Taylor LOFT. 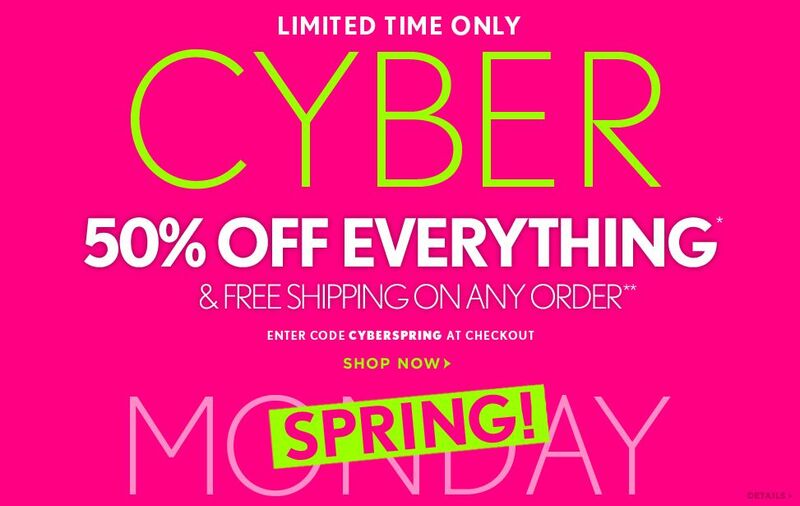 You must go NOW to their site because they are having a Cyber Monday Spring sale. This deal is way too good for me to keep it to myself. Site wide, EVERYTHING is 50% off plus free shipping. No, I am not kidding either (to my friend Rebecca, sorry for the temptation, but I know we both love LOFT and a good deal). This is huge. I love when awesome stores have awesomely good deals. Just enter code CYBERSPRING at checkout. 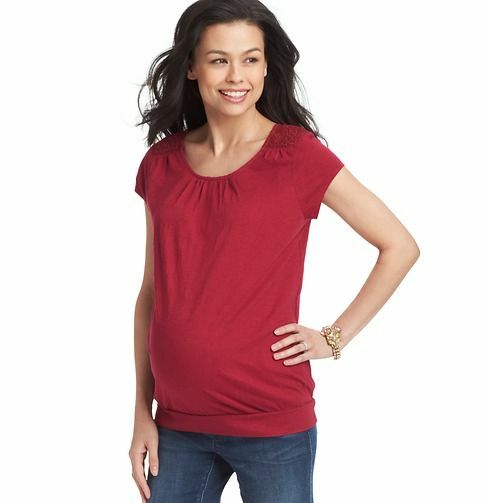 As soon as I opened my e-mail and saw the great news about this Cyber Spring sale, I immediately went and checked out their maternity line. I scored this awesome polka dot dress (of course I did!) and this cute pomegranate top. I cannot wait to be able to shop their regular clothes again, but for now I’m so thrilled that my favorite store has a maternity selection with cute options. How great is this?!?! I love the adorable maternity clothes!